It seemed unthinkable that Booth (David Boreanaz) and Brennan (Emily Deschanel) would ever leave the FBI and Jeffersonian, respectively. But that’s exactly what they did at the end of last season, moving on to a more peaceful life after 10 years of murder and mayhem. But is that life truly what the daring duo want? “That’s one of the questions we ask in the premiere,” says executive producer and new showrunner Michael Peterson. While they didn’t quite make it all the way to Kansas as planned, Booth and Brennan have settled in to their non-crime-solving lives when Season 11 opens. Or they had. Booth is suddenly missing after a mysterious plan goes “very, very sideways,” according to Peterson, and the two-part premiere will consist of Brennan’s quest to figure out what happened and where the heck her husband is. The mystery brings Brennan back into the Jeffersonian fold, interrupting Cam’s (Tamara Taylor) search for someone to replace her. Cam’s boyfriend, Arastoo (Pej Vahdat), seems the most likely candidate, until Brennan makes her return, that is, and poor Arastoo has to deal with Brennan trying to reassert herself. 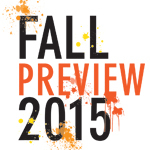 RELATED: Guess Who's Coming to Your Favorite Fall Shows? Keeping things fresh in a show’s 11th season isn’t easy. There will be some major guest stars (Kim Raver as an FBI agent helping locate Booth, Betty White as a world-renowned anthropologist), but the main shake-up will come in the fifth episode, when the series crosses over with its Thursday-night companion Sleepy Hollow. It seems an unlikely pairing, given Sleepy’s supernatural bent and Bones’ unrelenting logic, but Peterson vows each show will stay true to itself. “We’re not going to have Bones suddenly believing in ghosts,” he says. Instead, the episodes will focus on the dynamics between the leads: Booth and cop Abbie (Nicole Beharie), and Brennan and Ichabod Crane (Tom Mison), who make a surprisingly good team. After that, Peterson promises a “back to basics” feel to the rest of the season. “David [Boreanaz] had the great advice to go back and rewatch Season 1, just to fall in love with the show all over again,” he says. “In Booth and Brennan’s interactions early on, they really went at each other. That doesn’t have to mean it’s a threat to their marriage. We’re going to put ’em through everything we can.” Given what they’ve survived the last 10 seasons, we don’t doubt they’ll come through. Bones headlines in your inbox as we publish them.